Last Saturday turned into a bit of a boxing fest. I trained in the morning at Penarth ABC and, in the afternoon, headed for the Welsh Boxing Championships at Cowbridge Leisure Centre. The fashionable Cowbridge town, a popular destination with the Vale ladies who lunch, was reassuringly busy but I certainly wasn’t there to shop. Parking at the Cowbridge Leisure Centre was a challenge and, once inside (the very reasonable £10 admission fee paid), I realised why. What a turnout, the main hall was packed. I was a little dubious that the two ring set up would work, but it did and, with great boxing going on simultaneously, at some points it felt a little like a long rally at Wimbledon. After a while we got used to it and it was excellent watching the ebb and flow of the bouts. 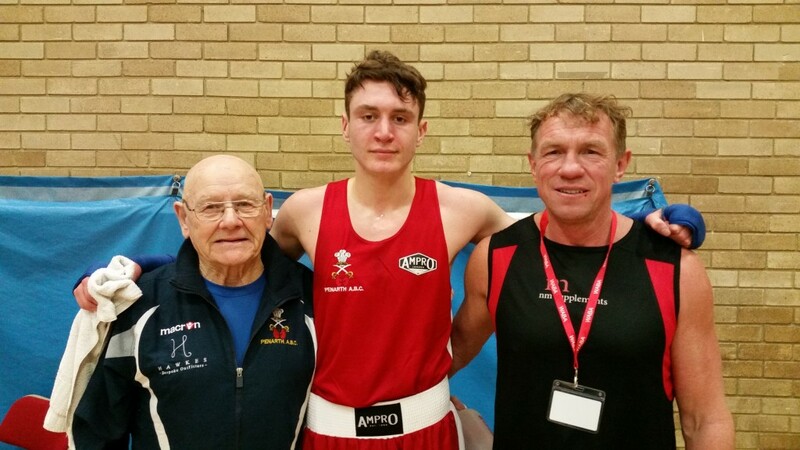 I was there to support Ben ‘Benj’ Stewart who was fighting Charly Sture of Pembroke Dock ABC in the 75kg class and, when their turn came around, I wasn’t disappointed. Both boxers started well and the first round felt cagey with both lads finding their range but, as Coach Neil Munn had advised, Benj worked his way in using his jab well and the second and third rounds were a different story as, gaining confidence, he put together some excellent combinations and boxed consistently off the front foot while maintain a decent defence. The win was well deserved and means Benj is one step closer to a Welsh title which will be decided in Sophia Gardens, Cardiff next Saturday evening. In pure entertainment terms the event was real value for money with clubs from right across Wales contributing to an excellent afternoon’s boxing – it was good to see. I was chatting to a gentleman from Llanblethian (just up the road). Great chap, he said he’d “emigrated from Tonypandy years ago” – a real character. He’d heard the boxing was on so made his way down to watch. We both agreed it was £10 well spent. Congratulations to Benj, the organisers, Cowbridge Leisure Centre and all the boxers, coaches and trainers, and families, friends and fans that made the day a great success. Like the day, the evening was dominated by boxing too, with Kell Brook’s successful defence on Sky Sports and Chris Eubank Jnr winning his fight on Channel 5. Respect to Nick Blackwell who was hospitalised after the fight. He showed massive heart and we hope he makes a full recovery.